Management job interview questions are designed to explore the candidate's management-related competencies and skills and personal management style. Popular manager interview questions are outlined with practical answer guidelines to help you prepare for your management interview. 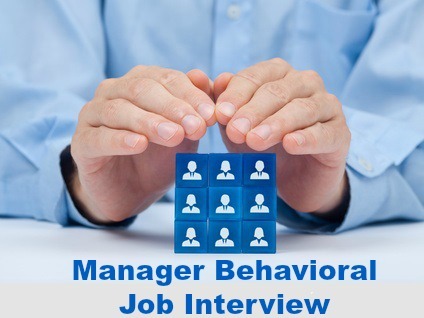 Behavioral management job interview questions will be asked to determine the candidate's level of competency in key skill areas. Expect interview questions that explore your ability to make decisions, delegate, develop and motivate staff, communicate effectively and manage work tasks. Expect interview questions that explore your personal management style. These questions look at how you relate to employees and how well you fit with the company. The interviewer is looking for a manager that can work well with the team and complement the current management style of the company. 1. What do you consider to be the most challenging aspect about being a manager in business today? Relate your answer to the knowledge you have of the job, the company and the industry. 2. What are the most critical skills a manager needs to succeed in today's business climate? Find the right answers to the manager interview question What makes a good manager? 3. What important trends have you picked up recently in our industry? Be prepared with two or three trends that demonstrate your knowledge of the industry. What is your favorite management book? What management courses have you attended recently? Be prepared to show how you have actively sought out new knowledge to enhance your management ability. Demonstrate a proactive approach to self development. 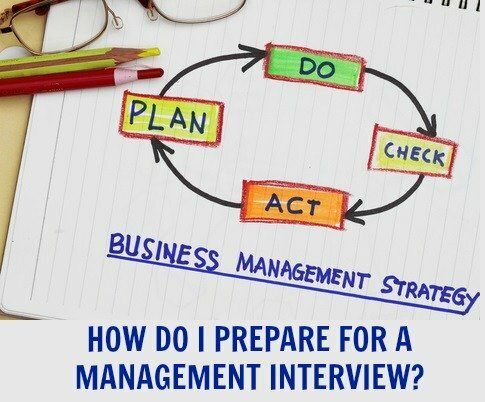 How Do I Prepare for a Management Interview? In addition to specific management job interview questions you can expect common job interview questions in your manager interview. Expect manager interview questions about your motivation and relationship with your colleagues. Project manager interview questions will include those that explore the key competencies that a project manager requires to be effective and survive in today's tough business environment. Know which management job interview questions to expect and prepare positive and professional interview answers to stand out in your job interview.